Keeping the family entertained for those long summer days at the beach does not need to be a chore. With a little imagination, some planning (for accessories) and a few of the 10 beach game ideas below, they’ll be busy all day. These suggestions for fun beach games and activities work for children and adults. The common theme is that all of them have an active element, there will be plenty of time for reading and sunbathing later! If you’d like to add another suggestion to this list, the place to do it is the Fitness Review facebook page – you’ll find it here! These are not in any specific order; different people will have different favourites. This is one I remember from camping holidays to France as a kid. The idea is to get your bowl as close to the smaller ‘jack’ as possible. You can throw more accurately, or you can aim to blast your opponent’s bowl out of the sand. We played with plastic sets, which had water inside. I remember being slightly jealous of the families with silvery metal sets! This game is ideal to play on the softer sand away from the water, where the balls will not run down the beach so easily. You can usually find these sets at beach-side shops and kiosks easily enough. If you prefer to plan in advance, then they are also available via amazon.co.uk. Here is the listing page, the question is – will you ‘go posh’ and get the metal set??! I’m sure you have heard of the children’s party game musical chairs. You can also play this game with towels, or even inflatables. The idea is the same, you have some music (many smartphones can do this these days, though a Bluetooth speaker is ideal), and when it stops everyone needs to find a towel. As the number of towels gets reduced, someone is out each round. This game is ideal for larger groups, and you might need to adjudicate the occasional dispute! One of the easiest accessories to pack, and always entertaining to play – a frisbee is great for all but the smallest kids. If the beach is packed this is not ideal, though most of the time this will not be a problem. You’ll find that a lot of the fitness benefits from this beach game comes from those times you are running to collect your frisbee after a stray throw. There are many models to choose from these days. The traditional solid frisbees have been developed over the years with hoops and more streamlined models. Great for adults and children alike, limbo only needs a pole (or even a stray stick / branch) and some music. This is a fun activity which involves dancing under the pole without touching it. This is easy at first, though as the pole gets lower you’ll find out who is the most flexible very fast. The smaller kids will have an advantage of course – making limbo dancing very family friendly! The high net and light ball makes for a frenetic game which will really give you a cardio workout. In addition, volleyball is great fun – and can be played by just 2 people, or teams of up to 3 each side of the high net. You’ll need a little space for this one, and I do recommend picking up a net in advance. This is not suitable for smaller children. To win a game, your team needs to score 25 points, generally the first team to win 3 games (out of 5 possible) wins the match. The other rule to keep in mind is that players can’t hit twice in a row – though a block is not counted as a hit. Of course, if you are just having fun and keeping fit at the beach, you are welcome to adapt the rules however you like. The best selling volleyball net on amazon.co.uk is a bargain, check out the box below! This is not quite as active as the other games, though some running to and from the sea will be needed. Your objective is to get your ping-pong ball from around 15 feet (5 meters) from the sea all the way to the water. This is achieved by digging a channel, and then pouring water into the top of that channel. The ball moves quickly at first, though more water is needed as it gets further from the top of the channel. You’ll need to make sure that nobody is using the weight of the water directly on the ball to move it! An alternative involves racing ping pong balls with your nose – please make sure that the sand is soft before starting this one. Tennis needs a little too much space for most beaches, though there are plenty of alternatives involving bats and balls. A classic game uses wooden bats and a small rubber ball. Rather than competing with this game, cooperation is ideal – seeing how long you can keep a rally going for. I have fond memories from those childhood holidays of spontaneous football matches, with kids from all over forming random teams and towels for goalposts. Whether organised or just a kick around, the ‘return on investment’ of a cheap plastic football is huge! If there is not the room (or numbers of players) for a full match, then standing in a loose circle and keeping the ball off of the ground can also be an entertaining game. While the classic sand castle building will always be popular. There are ways to add some variation to this. A sandman is just like a snowman, only requiring wet sand. The activity part of this comes from needing to fetch water to dampen the sand for the upper part. You might also need to seek out sticks for the arms and pebbles for the head. Damn building makes for a great alternative if the tide is coming in. This version peaks as the waves start to win the battle. 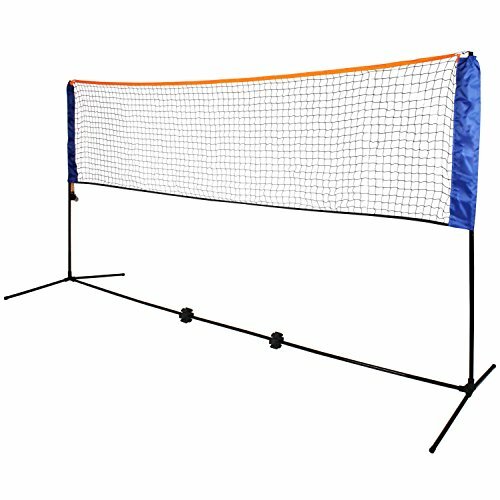 If you have a volleyball net, then it can easily double up… though for a friendly family game, a net is not always needed. If you have never played badminton, then the fitness level required to keep that shuttlecock in the air will surprise you. Kids will naturally have the fast reflexes needed to make this work. Once you have exhausted the family, it is time to think about the evening ahead. With any luck this will involve relaxing, eating good food and sipping your favourite tipple!